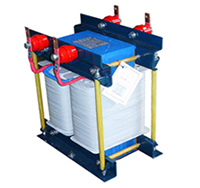 We are one of the Single Phase Control Transformer manufacturer and supplier in India. 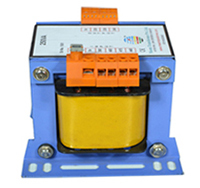 This type of control transformer is used in motor regulator, machine tool regulator, control panels, alarm systems and distribution boards. 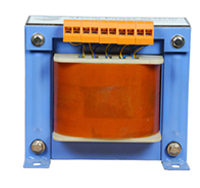 Since last sixteen years, control transformer has been engaged in the manufacturering and exporting of Three Phase Control Transformer in electro-magnetic control circuits for regulating three phase voltage and current. 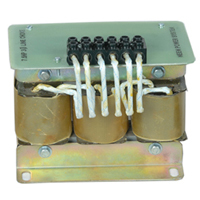 Leveraging on many years of experience and knowledge, we are manufacture and supplies a wide gamut of sturdily-built Line Communicating Choke. 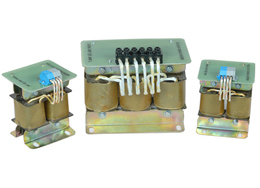 We have manufactured ac dc line communicating chokes that are used for controlling rate of rising current. 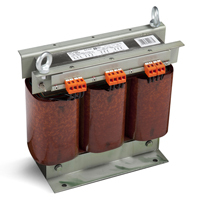 A control transformer is a transformer that employed for supplying power to control voltages for the control circuits of AC motor starters. 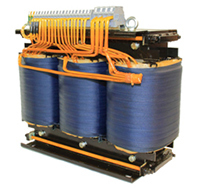 Meem Transformer is one of the top companies in India manufacturing, supplying and exporting optimum quality and high functionality Transformer which include Control Transformers, Single Phase Transformer & Three Phase Transformer and Line Communicating Chokes etc. 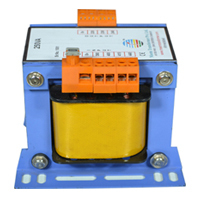 We are an ISO 9001-2008 Certified company. We put a lot of emphasis on the quality of our products right from the procurement of the raw-material till the dispatch of the finished product. Our qualitative products are widely demanded in the domestic and the international market because of their excellent characteristics like precise dimensions, robustness, commendable performance, reliability, simple and easy maintenance etc. We offer what we promise, hence are trusted on the global level.